MF 4350366321 - Fits：2009 2010 2011 2012 2013 2014 2015 2016 2017 2018 ram 1500 2010 2011 2012 2013 2014 2015 2016 2017 2018 dodge ram 2500/3500 models does not fit ram 1500/2500/3500 Stock Projector Models Will Fit both Quad and Dual Cab Trims Models. Meets or exceeds DOT & SAE Standards. Fits:2009 2010 2011 2012 2013 2014 2015 2016 2017 2018 ram 1500 2010 2011 2012 2013 2014 2015 2016 2017 2018 dodge ram 2500/3500 models does not fit ram 1500/2500/3500 stock projector models will fit both Quad and Dual Cab Trims ModelsComplete set includes Left and Right Sides 100% Brand New in Original PackagingUse light bulbs for Low Beam and light bulbs for High Beam. High quality headlights made by OEM approved manufacturers with materials that meet strict OEM requirements. Unique headlights Style dramatically improve Styling, Appearance & Safety. Professional installation is highly recommended, No instruction included with the packageAffordable & Excellent merchandise for enhancing the style of your vehicle & brings out a totally different look to your car. SPPC Crystal Headlights Black With New Factory Style For Dodge Ram - Pair 2009-2018 Dodge Ram - . 30 days money back guarantee & 90 Days Limited Warranty. Direct oem replacement No Modification Needed. New aftermarket part, Includes Both Driver & Passenger Side. Unknown CH1200188 - Brand new for dodge ram full size truck front grille grill assembly high quality - certified - oe replacement aftermarket - made of durable components1994 1995 1996 1997 1998 1999 2000 2001 dodge ram 1500 full size pickup truck1994 1995 1996 1997 1998 1999 2000 2001 2002 Dodge Ram 2500 Full Size Pickup Truck1994 1995 1996 1997 1998 1999 2000 2001 2002 Dodge Ram 3500 Full Size Pickup TruckNote: Old Style - Textured Black - Without EmblemFits Front Center. MF - 30 days money back guarantee & 90 Days Limited Warranty. Fits: 1994-2001 dodge ram pickup doesn't fit those without cargo liGHT. Direct oem replacement No Modification Needed. Meets or exceeds DOT & SAE Standards. Fits:1994-2001 dodge ram pickup doesn't fit those without cargo light housing 3rd brake light that give your car an unique look100% Brand New in Original PackagingLook exactly the same as shown in the pictureHigh Quality 3rd Brake lights made by OEM approved manufacturers with materials that meet strict OEM requirements. Professional installation is Highly Recommended, No instruction included with the package. Affordable & excellent merchandise for enhancing style of your vehicle & bring out a totally different look to your car. New aftermarket Part. Does not fit Ram Van. 30 days money back guarantee & 90 Days Limited Warranty. New aftermarket Part. This is a brand New Tail Light Pair. AUTOSAVER88 - You need to buy correct wire which depends on your car model. Package included: one pair of fog lightsdriver and passenger side, with 896 12V 37. 5w halogen bulb. Sae/dot approved. Thoroughly tested to meet federal and international standards and are fully street legal. Made by oem approved manufacturer that meets or exceeds oe standard. Guaranteed to fit and function like the original. For oem: 55055181, 55055180, ch2592109, ch2593109.7. Replacing a discolored, scratched, dull or damaged fog lamp with a fog light can help increase your visible. Does not fit Ram Van. These fog lamps will install just as your original does. The lights are constructed from OEM grade ABS plastic to provide long-lasting and the most reliable service. AUTOSAVER88 Fog Lights 896 12V 37.5W Halogen Lamp For 1994-2002 Dodge Ram 1500 2500 3500 Pick Up Truck Clear Lens w/BulbsOnly fit Without Sport Package model - 3. 4. A new driving light can provide you with up to 50% more illumination than a dull, sandblasted, yellowed, broken or scratched driving light. New aftermarket Part. You can use your existing hardware and wiring harnesses. CNS EngineParts - Therefore reviews of any products not purchased from CNS do not reflect the description and images on this listing. Thank you!30 days money back guarantee & 90 Days Limited Warranty. This kit includes: 1 - welded stabilizer assembly, 2 - 7/16"-14 x 1. 5" hex head bolt bearing mount, 1 - sector unit, 1 - ucfl205-16 flanged bearing, 4 - m10 lock washer, 4 - m10 washer, 4 - M10 x 40 Hex Head Bolt Stabilizer Mount, 2 - 7/16" Lock Nut 4 - 7/16" Washer 1 - 7/8" Lock Washer. The steering stabilizer bar is designed to reduce the stress on the steering box and extend the life of the steering components. Therefore reviews of any products not purchased from CNS do not reflect the description and images on this listing. Please refer to the listing pictures for an accurate description of the parts included in the kit. New DSS-100 Steering Gear Box Stabilizer Bar / 94-02 Dodge Ram 1500, 2500, 3500, 4 x 4 both gasoline and diesel models - Please note: the images on the left and detailed descriptions only pertain to cns engineparts branded products. To receive high oem-quality items manufactured by CNS Engine Parts & sold exclusively by Matrix Automotive, please make sure to add to cart where it says "Sold By Matrix Automotive". Meets or exceeds DOT & SAE Standards. This warranty is limited to the replacement of a defective product only. Note :*please note: the images on the top of the left and detailed descriptions only pertain to CNS EngineParts branded products. ECCPP ECCPP050262-3 - This kit includes: 1 - welded stabilizer assembly, 2 - 7/16"-14 x 1. 5" hex head bolt bearing mount, 1 - ucfl205-16 flanged bearing, 4 - m10 washer, 4 - m10 x 40 hex head bolt stabilizer Mount, 4 - m10 lock washer, 1 - sector unit, 2 - 7/16" Lock Nut 4 - 7/16" Washer 1 - 7/8" Lock Washer. The steering stabilizer bar is designed to reduce the stress on the steering box and extend the life of the steering components. Meets or exceeds DOT & SAE Standards. Injection molded textured black plastic housings Built to strict quality control standards Unheated. For 94-97 models, this mirror pair is considered upgrades and must reuse the factory mounting brackets: K55156128AC & K55156129AC. Therefore reviews of any products not purchased from CNS do not reflect the description and images on this listing. ECCPP Black Manual adjusted Side View Mirror Tow Towing Mirrors Left & Right Pair Set for 94-01 Dodge Ram 1500, 94-02 Ram 2500 3500 Truck - Comes as a pair manual operation Folding - Can lay flat against the door 7x10 glass size. Specifications: 1 years warranty comes as a pair, k55156128ac fit for years and models: 1994-01 dodge ram 1500 truck towing mirror with support bracket pair 1994-02 dodge ram 2500 truck towing mirror with support bracket pair 1994-02 dodge ram 3500 truck towing mirror with support bracket pair for 94-97 models, 55156334ad, fits both LH Driver Side & RH Passenger Side Manual operation Folding - Can lay flat against the door Measures approximately 18" long folded in and 24" long folded out from base Direct replacement, this mirror pair is considered as an upgrade and buyer will need to use the included mounting brackets PLEASE NOTE: If your vehicle did not come with this mirror type originally and it is being purchased as an upgrade, 55156128AC, 55156129AC, Unheated Manufacturer OE No: 55156335AD, K55156129AC, the reinforcement mounting brackets will have to be used to allow the mirror pair to work properly. Thank you! . Direct oem replacement No Modification Needed. uxcell a14051900ux1299 - Injection molded textured black plastic housings Built to strict quality control standards Unheated. 30 days money back guarantee & 90 Days Limited Warranty. Widely use- apply for fender liner, wheel well, door panels, air intake, splash guards etc. Package include: 100+/-2% PCS Door Panel Clips. Does not fit Ram Van. uxcell 100 Pcs 9mm White Door Panel Clip Rivet Retainer Clips # 6503709 For Chrysler - 67 inches ; stem length: 22mm/087 inches & fits: 9mm/036 inches hole. To receive high oem-quality items manufactured by CNS Engine Parts & sold exclusively by Matrix Automotive, please make sure to add to cart where it says "Sold By Matrix Automotive". You need to buy correct wire which depends on your car model. Package included: one pair of fog lightsdriver and passenger side, with 896 12V 37. 5w halogen bulb. Sae/dot approved. uxcellÂ Red Plstic Handle Car Door Upholstery Panel Clip Remover Tool 8.9"
Truck Emblem Warehouse - You need to buy correct wire which depends on your car model. 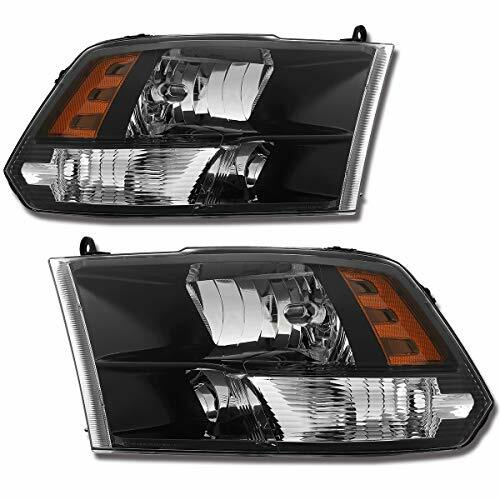 Package included: one pair of fog lightsdriver and passenger side, with 896 12V 37. 5w halogen bulb. Sae/dot approved. Thoroughly tested to meet federal and international standards and are fully street legal. Made by oem approved manufacturer that meets or exceeds oe standard. Guaranteed to fit and function like the original. For oem: 55055181, ch2592109, 55055180, ch2593109. Brand new steering Gear Box Stabilizer Bar Kit. Please refer to the listing pictures for an accurate description of the parts included in the kit. Please note: the images on the left and detailed descriptions only pertain to cns engineparts branded products. 1 NEW 94-02 CUMMINS SECOND GEN CHROME AND BLACK CUSTOM GRILL EMBLEM BADGE - Bright Chrome Finish. Measures approximately 18" long folded in and 24" long folded out from base Direct replacements. The same size & shape as original - head dia:17mm/067 inches ; stem length: 22mm/087 inches & fits: 9mm/036 inches hole. Universal fit- these universal plastic clips will fit on most of auto parts with 9mm hole, hold your parts very tightly. Dorman 645-748 - Measures approximately 18" long folded in and 24" long folded out from base Direct replacements. For 94-97 models, this mirror pair is considered upgrades and must reuse the factory mounting brackets: K55156128AC & K55156129AC. Bright Chrome Finish. Self adhesive Tape For Easy Install. Universal fit- these universal plastic clips will fit on most of auto parts with 9mm hole, hold your parts very tightly. Original equipment oe number: 5179988aa, 5179988ab, 56003674, 56018807. Injection molded textured black plastic housings Built to strict quality control standards Unheated. The same size & shape as original - head dia:17mm/067 inches ; stem length: 22mm/087 inches & fits: 9mm/036 inches hole. Suitable for 2-wire configurations. Dorman 645-748 License Plate Lamp Socket and Harness Assembly - One year Warranty. Not including a wiring harness. Widely use- apply for fender liner, air intake, door panels, wheel well, splash guards etc. Package include: 100+/-2% PCS Door Panel Clips. Replaces dealer part numbers: 55156334AD, 55156335AD. DODGE 55295240 - Made in the usa! Replaces dealer part numbers: 55156334AD, 55156335AD. Perfect replacement for oem- the retainer clips are made of high quality plastic, have a good fit and are of equal quality to the originals. Injection molded textured black plastic housings Built to strict quality control standards Unheated. Self adhesive Tape For Easy Install. Please refer to the listing pictures for an accurate description of the parts included in the kit. Please note: the images on the left and detailed descriptions only pertain to cns engineparts branded products. To receive high oem-quality items manufactured by CNS Engine Parts & sold exclusively by Matrix Automotive, please make sure to add to cart where it says "Sold By Matrix Automotive". DODGE RAM DAKOTA DURANGO GRILLE DECAL EMBLEM MOPAR - Adhesive not supplied!!!! Can be installed on almost any nearly flat surface!!!!!! 2. 25 inches wide by 2. 5 inches tall fits: 1994-2001 dodge ram pickup doesn't fit those without cargo liGHT. Easy installation to existing wiring. New in package genuine oem mopar grille emblem part # 55295240 fits 1993 to 2003 dodge ram trucks, dodge dakota & dodge durango new genuine oem mopar grille emblem, replace that damage or broken emblem. Thick clear resin Coating For Extreme Durability! For 94-97 models, this mirror pair is considered upgrades and must reuse the factory mounting brackets: K55156128AC & K55156129AC.